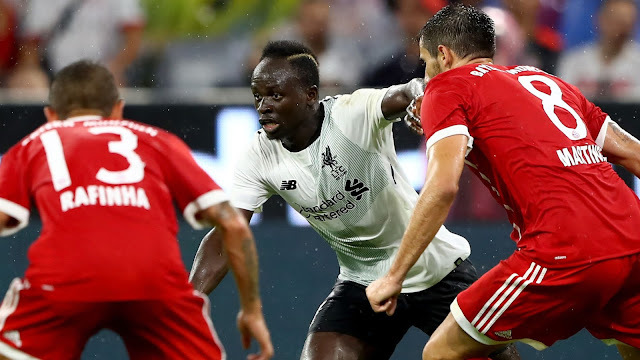 The latest Liverpool FC news, match previews and reviews, liverpool transfer news and Liverpool news reports from around the world, updated 24 hours a day. Nine changes for the Reds for the final clash against Atletico Madrid made by Jurgen Klopp at the Allianz in the Audi Cup 2017 Munich. Simon Mignolet and Loris Karius both miss out as Danny Ward starts the game instead with James Milner returning from injury and Ragnar Klavan, Jon Flanagan and Joe Gomez completing the backline. Adam Lallana starts alongside Gini Wijnaldum with Emre Can who retains his place from the last game. Sadio Mane also retains his place in the side, with Ben Woodburn and Dominic Solanke starting for the Reds front 3. Coutinho, Salah, Moreno and Dejan Lovren miss the game tonight as they have been given some time off. Henderson, Firmino and Joel Matip are in Jurgen Klopp's Arsenal for the game. Where can I get free football betting tips? Phillipe Coutinho Tells Klopp: "I won't play for Liverpool again"